We were all eagerly awaiting the public release of the new iOS 11. It released endly at 19th Sep, It is revolutionary in the changes it brings to your device. One improvement everyone will no doubt be interested in is Siri Translation. If you love Google Translate’s ability to translate words and phrases into different languages, you will enjoy this new iOS feature. 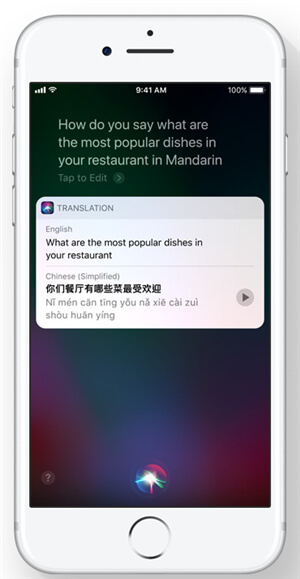 The number of languages you can translate to may not be as numerous as Google Translate but the personalization of the feature in Siri is definitely one to watch. This is considering that in the past when you asked Siri to translate a phrase or a word, she would simply provide you with relevant links to tap and read. If you are wondering how to use the function fully, this article will act as your guide to the world of Siri Translations. Just read on to find out how to use Siri’s translate function. Before we begin, ensure that Siri is set to use English as the default language since translations can only work from English to a supported language. Follow these simple steps to translate a word or phrase using the Siri Translate feature. 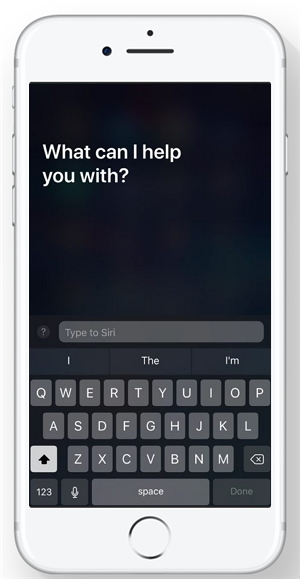 Step 1: Simply say “Hey Siri” or long press the home button to pull up Siri. Step 2: Ask Siri something like, “How do you say beautiful in Chinese” or any other language you want. Step 3: Siri will then translate the requested word or phrase as both text and audio that you can read and reply as you like. Step 1: Go to Settings > General > Accessibility and enable Type to Siri. Step 2: Long press the Home Button until you see the Siri screen. You will see a keyboard as well. Type the text which you want Siri to translate. Unlike many translation services including Google Translate, Siri’s translation feature as far as has been tested, is able to translate even the most random of phrases with great accuracy. It is therefore handy when you’re a tourist in a country where you don’t understand the language. The only problem with this feature is that it supports very few languages. Hopefully, Apple will add more in the future. Tip: Siri can only translate to French, German, Italian, Mandarin, Chinese and Spanish. If you try to translate to another unsupported language, Siri will simply let you know that the translation could not be completed, stating the languages supported. It is our hope that more languages will be added to this incredible feature before iOS 11 is released to the public this fall.